Teacher Juliana Rothschild (right) works with student Jessica Cousins at her home in western Maine as part of Threshold, a program from the Maine Academy of Natural Sciences charter school. More high school students in Maine are graduating today as compared to 5 or 10 years ago, but many are still being left behind — some are teen parents, others have been bullied, have experienced trauma or struggle with anxiety. One central Maine charter school is trying to reach those students by bringing school into their homes. On an early Tuesday morning, Juliana Rothschild steps out of her car and knocks on the front door of a home in Farmington. Jessica Cousins opens the door. The two sit down at Cousins’ kitchen table and pull out a couple of laptops. Rothschild is a teacher, and has come for her weekly three-hour class with Cousins, who dropped out of school two years ago at the age of 16. Cousins says she had a turbulent childhood, moving from town-to-town and rarely attending the same school for more than a few years. Then along came a program called Threshold, aimed specifically at students who never finished school. It’s based on the idea that the basic structures of school — including social interaction and the seven-hour day — just aren’t tolerable for certain students, like teen parents and workers. 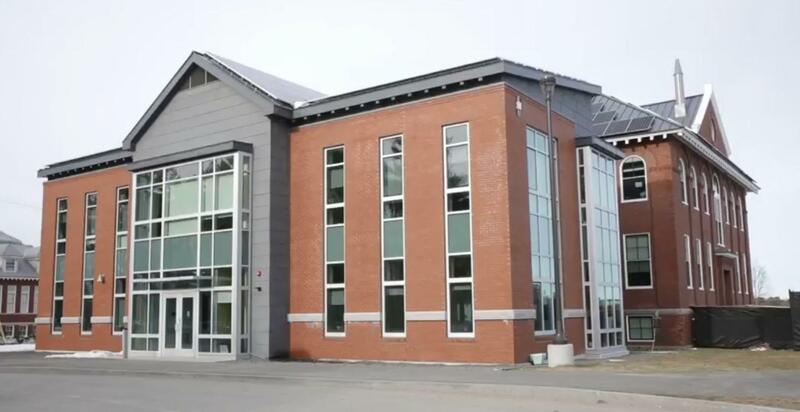 The program’s architect is Emanuel Pariser, director of instruction at the Maine Academy of Natural Sciences charter school in Hinckley, north of Waterville. His solution was to teach those students within their homes. The Maine Academy of Natural Sciences charter school has recently launched Threshold, a program where teachers visit students' homes and teach them there. “We’ve kind of figured out a home visiting model where we’ve taken out some of those variables that have kept kids from engaging in school,” he says. The school launched the program last fall. About 10 percent of the 20 students enrolled in Threshold, in towns from Farmington to Augusta, are teen parents. And more than half suffer from anxiety, sometimes so debilitating that they dropped out. One student, who asked that her name not be used, recalls walking into school each morning to harassment and name-calling. She says the bullying made it hard to even get up in the morning. And, eventually, she stopped going. Threshold, she says, gave her a chance to re-enter school without having to experience that anxiety. Once students are accepted into the program, they go through an extensive interview process to determine what they will need to graduate. Rothschild says she then designs personalized projects to help them meet those requirements. In one case, Rothschild leveraged a student’s passion for rebuilding BMX bikes into an English project: a tutorial slideshow about his bike-building process. But for some students in the program, even that personalization hasn’t been enough for them to advance academically. According to a January report from the Maine Charter School Commission, about 40 percent of Threshold students have made “steady progress” toward their goals since the program launched. About 20 percent were mostly unengaged and turned in little work. It’s a difficult challenge, says Maine Academy of Natural Sciences Principal Tonya Arnold. But some education researchers have been critical of blended and virtual learning programs, particularly statewide online charter schools that, in some cases, have shown worse results than traditional programs. Touro University associate professor Michael Barbour is one of those critics, but sees promise in a program like Threshold, which targets a specific population of students and provides in-person attention. And this program is showing signs of growth. This coming fall, Threshold’s enrollment could double to 40 students. Pariser says four students have already graduated since it started last year, and he says those diplomas make a difference. For Cousins, graduation is likely still months away. But the 18-year-old is already thinking about life after high school. 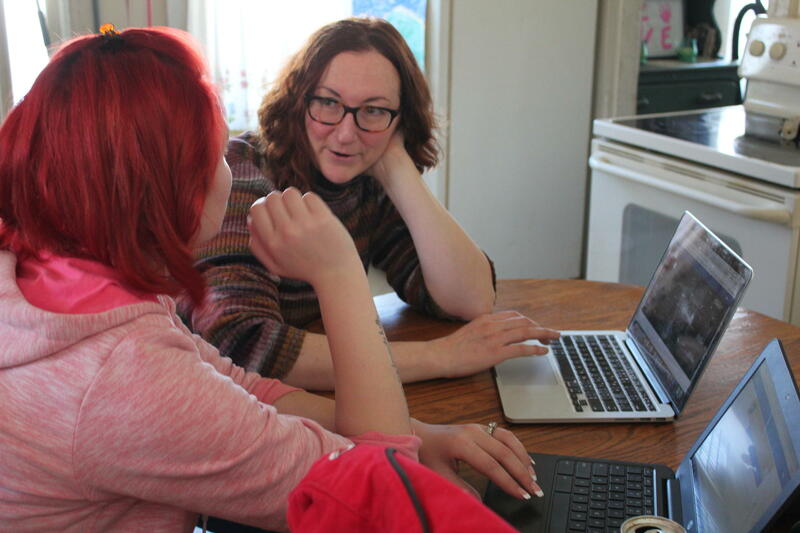 At her house, she and her teacher browse the internet for brushes, nail tips and adhesives — tools for cosmetology school, which she’d like to attend after graduation. And Cousins hopes that means she’ll soon start a new career — one she couldn’t have imagined just a year ago.